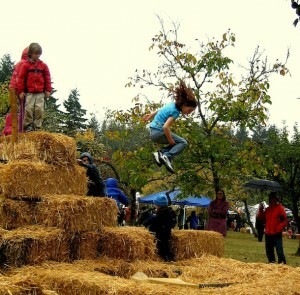 For a Sunday out on the farm, enjoy the 27th annual Harvest Fair. In this podcast episode, Wendy Johnson, the executive director of the Fair’s organizer — Friends of the Farms — is here to tell us about it. 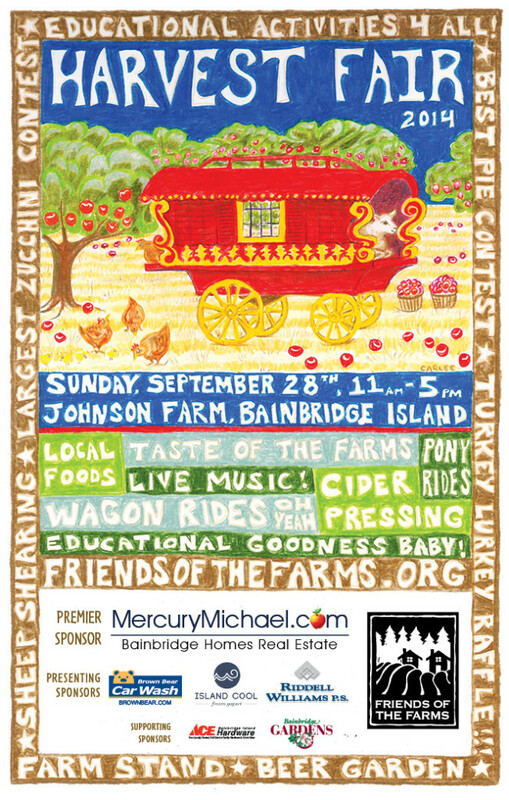 It’s on Sunday September 28 from 11am to 5pm at the Johnson Farm, on Fletcher Bay Rd south of High School Rd. There’s some car parking at the farm, or share a ride on the free shuttle buses from the Bethany Lutheran parking lot and the Strawberry Hill Park. Think about the history of this Johnson Farm event. In 1888, Andrew Johnson purchased 80 acres of farmland on Island Center Hill that produced vegetables, fruit and butter for local residents. Mr. Johnson successfully operated the farm for several decades through the early-20th century. After World War II, his son Harvey introduced grapes, fruits, nut orchards and beekeeping. When Harvey died, neighbors collaborated with the City of Bainbridge Island and the Trust for Public Land to purchase nearly 15 of those acres to preserve them for public agricultural purposes. 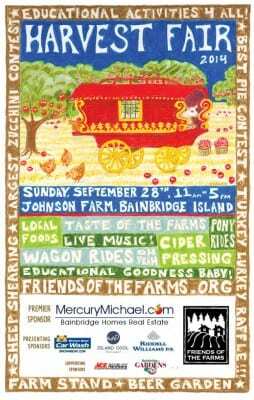 Sponsors for the event include: Mercury Michael – Bainbridge Homes; Brown Bear Car Wash; Island Cool Frozen Yogurt; Riddell Williams; Ace Hardware; Bainbridge Gardens; Guy Dunn; and local farms: Bainbridge Vineyards, Butler Green Farms, Laughing Crow Farm, and Heyday Farm. Diane Landry and the team from the Sustainable Bainbridge Zero Waste project will be on hand to help everyone compost and recycle, to keep the farmland attractive.